Chris Russo: Phil Hughes urinated on himself in that freakin’ series! The prevailing logic holds that the Yankees, even should they win tonight to force a game 7, will almost certainly have no chance against Cliff Lee in a Game 7 – especially one played at the Ballpark in Arlington. Logic is wonderful thing. Without it, many of the things we take for granted would never have been created. But, as any Yankee fan knows, you just can’t predict baseball. 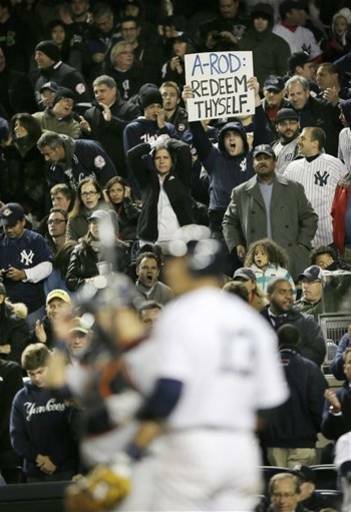 Besides, there is a historical precedent that is eerily similar to the Yankees – Rangers series. In 1985, the Toronto Blue Jays won game 4 of that year’s ALCS. 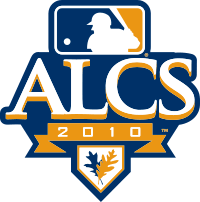 It was the first year of the 7 game format in the LCS and under the old rules, would have meant Toronto would have won their first pennant. Instead, they grabbed what still seemed a commanding 3 games to 1 lead in the series. Even if they failed to win game 5 in Kansas City (yes, Kansas City once had really good teams), they would have games 6 & 7 at home. Lined up for a game 7 start was Toronto’s ace, Dave Steib. How good had Steib been up to that point? 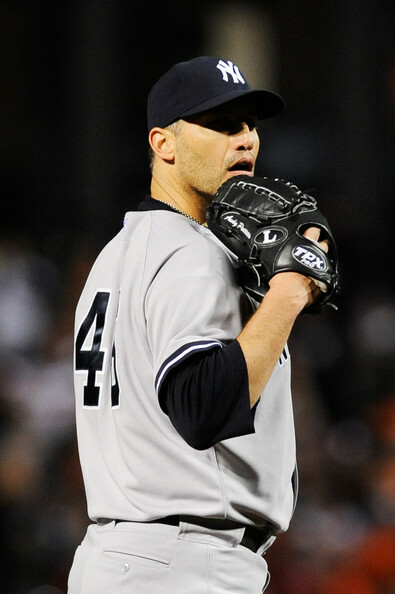 In his first two starts of that postseason, he had allowed 1 run on five hits – in 14 2/3 innings. KC was looking at what seemed to be an impossible hole to crawl out of. But then KC won game 5. Toronto was forced to ship their gear – and the champagne they ordered – back to Toronto. Toronto was still confident and playing with the looseness of a team that expected they still had the series in control. Then KC won game 6. Doubt began to trickle into the city of Toronto. After all, most of the prognosticators prior to the series had picked the Royals. They had the postseason experience. They had the best player in the game, in George Brett – even if he was starting to age some. But, Toronto had that equalizer in Steib. Game 7 commenced much the way Royals fans expected. Steib showed a few signs of the stress of the situation, allowing two runs. But the game was tied going into the 6th. That’s when IT happened. Steib got the first batter of the inning to hit a weak flyball to center; 1 out. Then he walked Brett and followed that up by hitting the next batter. A ground out and walk to Steve “Bye-Bye” Balboni loaded the bases with two outs. Despite struggling with his normally impeccable command, Steib was only 1 pitch from getting out of the jam. Unfortunately for him, Jim Sundberg ripped that next pitch into the right field gap for a bases clearing triple. Steib left the game and Toronto never recovered, ultimately losing the game 6-2. And the series, 4-3. As for the champagne, KC purchased it for $1 per bottle – $1 Canadian, that is. Like Toronto that year, Texas is in their first ever ALCS. Like Toronto that year, Texas has a seemingly unhittable pitcher lined up for game 7. Like Toronto that year, Texas lost game 5 on the road and has to rely on their fourth best pitcher for game 6. In the end, the better team (the one with the best player of his generation) won that 1985 series (and went on to win the World Series). I suspect the same thing will happen again. As much has been made of the Yanks starting pitcher’s inability to get past the National Anthem without surrendering multiple runs, an even bigger question is burning in the Bronx: why is the offense suddenly MIA? Consider: thus far, the Yankees have scored in 4 of 27 innings. In three of those innings, only one run crossed the plate – and two of those were courtesy of Robinson Cano solo homers. As memorable as the 5 run outburst in the 7th inning of game 1 may be for the dramatics, it stands in danger of being memorable simply because it is the only time all series the Yankees managed to tack multiple runs on the board. Compare that to the Rangers, who have scored in 8 of their 27 innings – and scored multiple runs in 7 of them. Granted, Cliff Lee may be the best big-game pitcher in the game today (which is a BIG reason he’ll be welcomed in the Bronx next year), but even removing last night’s game shows the Yankees are being outslugged by the Rangers. Outslugged by the Rangers? Yep. Take away last night’s game and the aggregate score is Rangers 12, Yankees 8. The key to winning this series now may very well be the Yankees ability to win the next three straight. 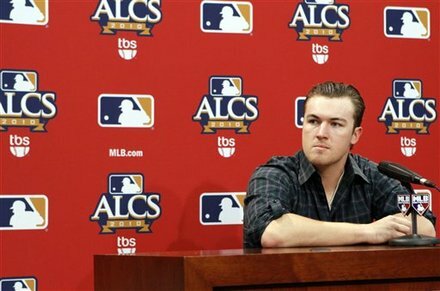 As well as Lee is pitching right now, the idea of facing him in a game 7 should fill every fan with dread. Can the Yankees win three straight? Certainly, especially with the next two at Yankee Stadium. But they need to get the bats off their shoulders and start scoring, preferably early and often. Otherwise, it won’t matter that Lee is lined up for game 7. What’s the difference between a 5-0 lead and a 6-5 loss? Tonight, the Yankees start the second leg of the Chase for 28 in Arlington, Texas. The game is on TBS and coverage begins at 8pm ET. 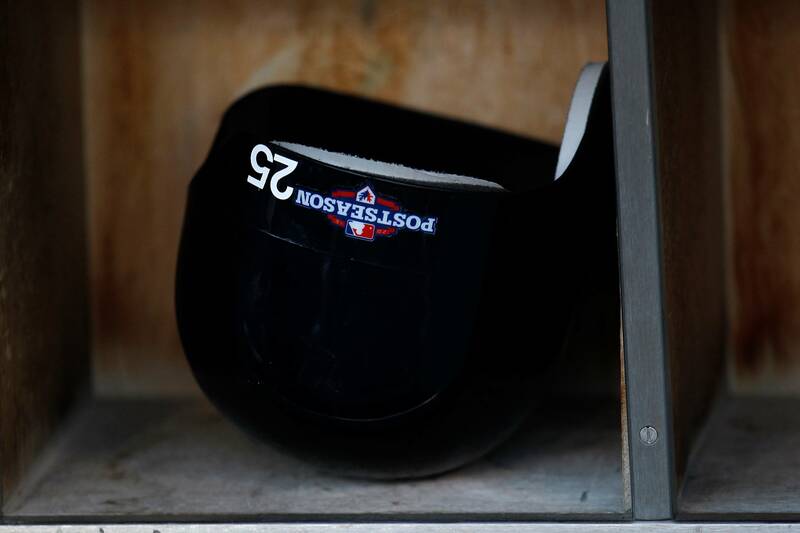 The Yankees got to this point by disposing of the Twins in 3 straight, while the Rangers are coming off a much more grueling 5 game victory over the Rays. The teams split their regular season series at 4 wins apiece – but this is the postseason, where the Yankees have historically owned the Rangers. But these aren’t your father’s Rangers. Those teams tried to club you into submission; this one features some pitching and speed in addition to the power. During the regular season, the Rangers cruised to the AL West crown, finishing 9 games ahead of Oakland. Still, they would have finished third in the AL East, only one game ahead of Boston – and Boston was never really in the race after the All-Star break. Each team is planning on going with a four man rotation, although if either is down 3-0 the smart money is the game four starter will change. 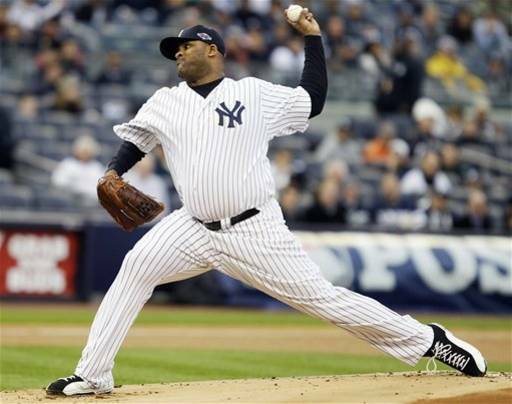 In the battle of Starters With Initials For Names, Sabathia is the Yankee ace and won 21 games this year. Wilson is the Rangers version of Phil Hughes, emerging from the bullpen to realize his potential this season. In their respective starts in the ALDS, Sabathia worked through 6 innings, demonstrating why he’s an ace: even without great command or life on his pitches, he kept the Yankees in the game until the team solved Francisco Liriano. The guy just finds a way to win, especially in prime-time. Wilson dominated the Rays in Game 2 of that series. Hughes gets the ball in Arlington, where he’s pitched well in the past. Lewis is a reclamation project, being rescued from Japan. Hughes went 18-8 while Lewis parked a 12-13 record. Each pitcher is relatively inexperienced in the postseason and will be making their second start, although Hughes also pitched out of the pen in last year’s postseason run to #27. In their previous starts, Hughes dominated the Twins in winning the clincher. Lewis was nearly as effective in game 3 against the Rays. The marquee matchup of this series pits Pettite, the all-time leader in starts and wins in the postseason against the Rangers ace – who has been dominant the past two years in October. Prepare for one of those classic 1-0 type games. Burnett is basically like the lost lamb trying to find his way back, after a season in which he posted career highs in hit batters and ERA while posting a career worst WHIP. It was an ugly year for AJ and is pretty much getting the start only because the Yanks don’t want to burn out CC before the World Series. However, the Rangers may be the perfect team for AJ to get his groove back – the only teams he was statistically better against in 2010 were the Royals and Indians. Hunter posted career highs in wins, starts and innings pitched, but he’s very much a pitcher who relies on guile and command. Yankee Stadium in October isn’t exactly conducive to easing rattled nerves for opposing players (just ask the Angels from last year). The Yankees have the ultimate post season weapon in closer Mariano Rivera, and set him up rather nicely with Kerry Wood, David Robertson, Joba Chamberlain and lefty Boone Logan. Despite the Rangers being primarily right-handed offensively, Logan still figures to be an important weapon out of the pen against Josh Hamilton. The Yankees led the league in scoring and the lineup is so deep that veteran All-Star Lance Berkman hits 8th. MVP candidate Robinson Cano is joined by perennial All-Stars Alex Rodriguez and Mark Teixeira in the 100RBI club, and 5 Yankees went deep 25 or more times in 2010. When future Hall-of-Famer Derek Jeter is the weakest link in your lineup, you’re pretty set offensively. The Yankees also have speed in Jeter, Curtis Granderson and Brett Gardner (3rd in steals). Marcus Thames adds a proven power bat off the bench. 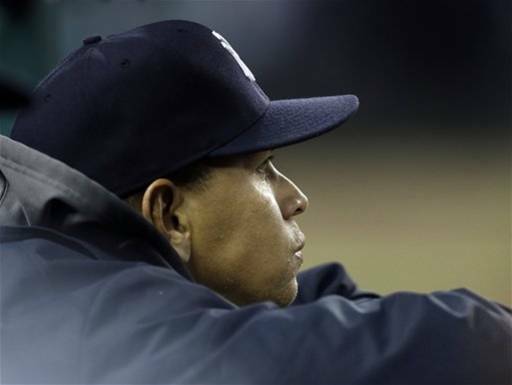 The key to holding the Yankees down is hoping that Joe Girardi goes insane and starts IF Ramiro Pena and OF Greg Golson. The Rangers are a solid team defensively, particularly in the outfield, where the speed of Hamilton, Cruz and Borbon lets them get to a lot of balls and both Hamilton and Cruz feature excellent throwing arms. On the infield, Kinsler and Young don’t make many mistakes, but both have been compared to statues in the past. Catcher Molina is a weapon against opponents running games, but more importantly works well with the pitching staff. Reserve C Matt Treanor also figures to get at least one start. SS Andrus has terrific range and a good arm, but can be erratic at times. Manager Ron Washington has done a terrific job in shoring up what was once one of the worst defenses in baseball, but the Rangers aren’t on par with 1976 Reds yet.